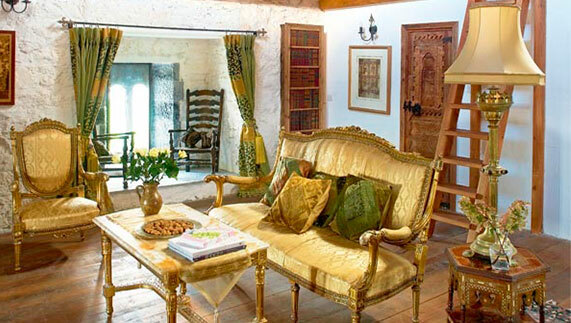 A trip (and some sleeps) back in time with some of Ireland’s oldest accommodation. Dendrochronologists (tree dating experts) conducted tests on Clomantagh Castle’s wooden beams, and the results were stunning. 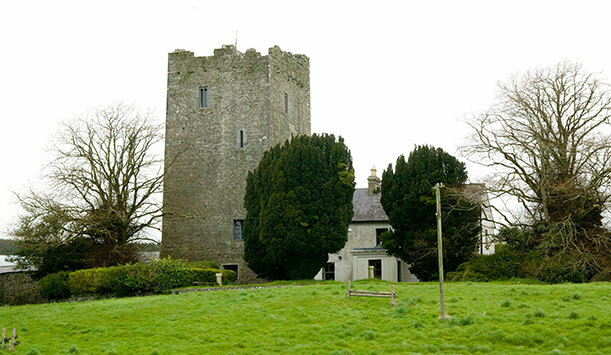 Now in the safe hands of the Irish Landmark Trust, Clomantagh, as it turned out, dates to 1525 after which it was owned by the ne’er do well 8th Earl of Ormond, Piers Butler. 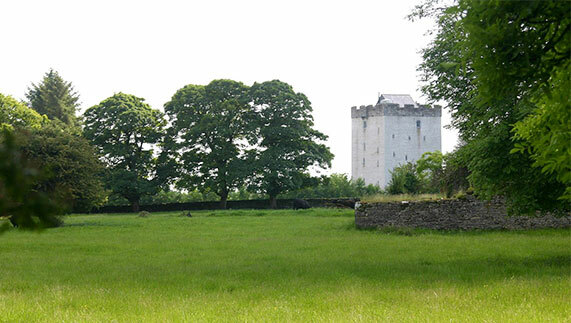 According to those in the know, ‘there were 41 castles’ around Kilmaine in 1574. Was Turin one? 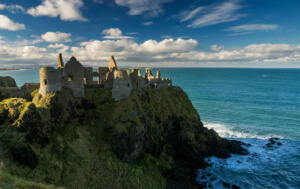 Facts are hazy, but the castle’s abandonment for 250 years is considered accurate. Broad banquet tables and hanging tapestries are part of the mystique, but it’s the hidden chamber in the top floor room that will truly amaze. Sir Ralph Gore built Belle Isle’s first house at the end of the 17th century before it passed to his grandson, who created the impressive garden. In 1830 it was sold to the Porter family, who built the stunning tower, gallery and porch. 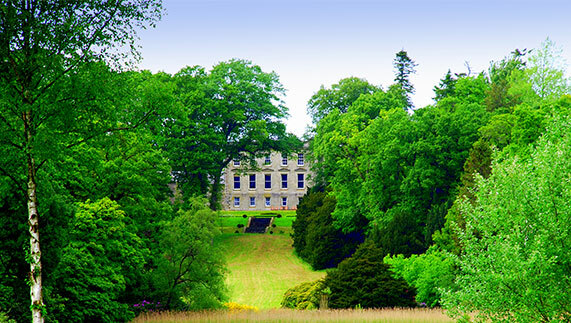 Currently this verdant estate rests in the hands of The Duke of Abercorn. 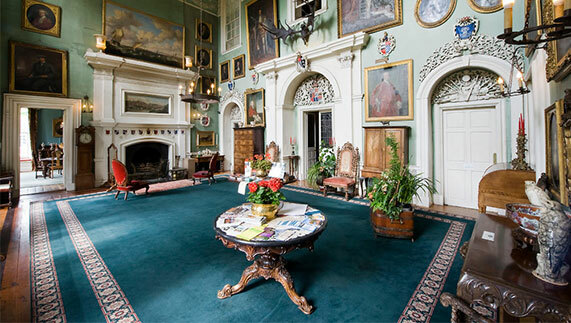 Also try: Crom Castle (West Wing), County Fermanagh; Fanningstown Castle, County Limerick; Kilahara Castle, County Tipperary. 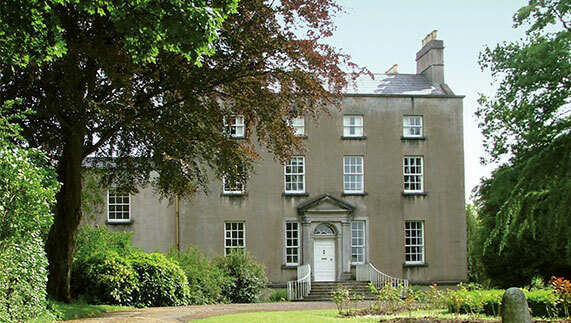 A house has stood at Hilton Park since the early 17th century. In 1803, it was destroyed by a fire that burned for 2 whole days. The reason? A servant left a bucket of glowing coals from the fire perilously unattended. The house took 15 years to rebuild and is now a romantic collection of boudoirs, ballrooms and Victorian pallazos. In the 18th century, the Dean of Armagh’s Church of Ireland cathedral required a residence appropriate for someone of his standing. In 1772, Dean’s Hill was built. 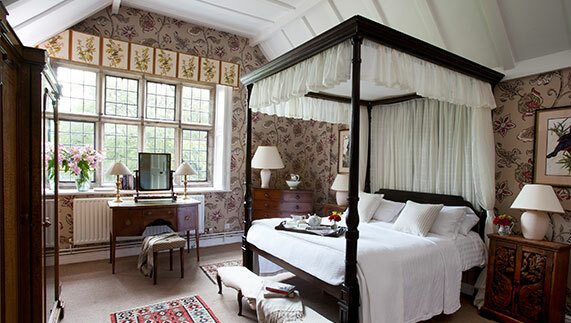 Constructed for comfort, the house’s grand bedrooms boast handsome open fires and large sash windows. Wooded grounds provide a secreted escape for philosophical rambles. Beaulieu began life as a motte and bailey fortress built by the Norman Plunkett family with panoramic views of the myth-drenched Boyne River. Today, remains of the original structure still form part of the building. 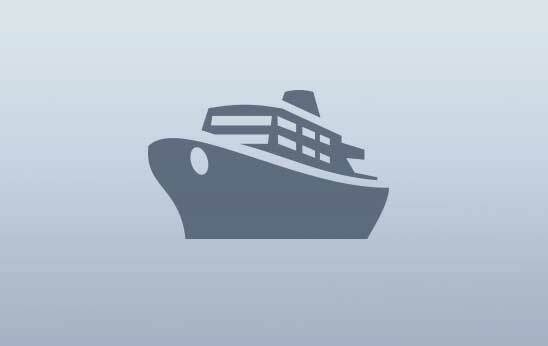 Rumour has it that the modest red bricks detailing the house’s exterior were previously used as ballast by boats travelling on the Boyne. 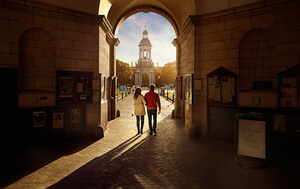 Also try: National Trust, Ireland’s Blue Book; Hidden Ireland; Irish Landmark Trust. 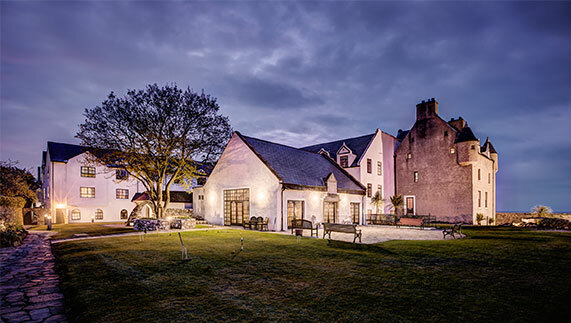 Meet – according the owners – Ireland’s oldest hotel. 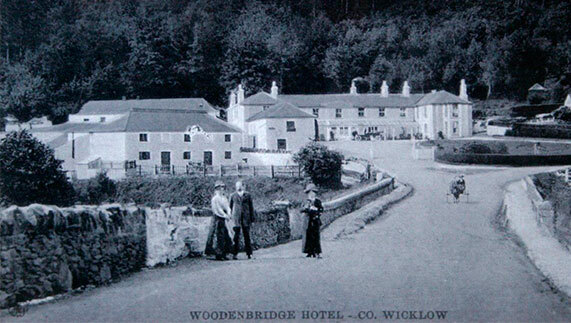 Life for Woodenbridge began in 1608 as a popular coaching house for merchants. 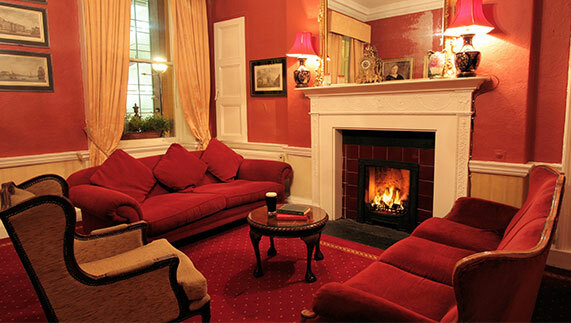 Guests, it’s said, would sit by the grand fireplace drinking punch to keep warm. 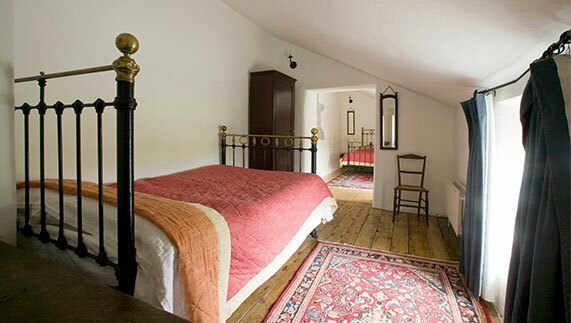 Speaking of guests, the very room where former Irish president Éamon De Valera honeymooned is available to visitors. A shining example of Georgian architecture, the Castle Hotel first appeared in the early 1800s and boasts a remarkable history. While under the name Williams Hotel, revolutionary Michael Collins made a stop here on his final journey to Cork where he would be assassinated at Béal na Bláth. Original features including grand staircases and marble fireplaces have been beautifully preserved. 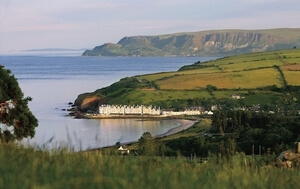 Overlooking the sea at the edge of Antrim, this 17th century residence staved off numerous attacks during The Irish Rebellion in 1641, and is said to be one of the most haunted places on the entire island with the spectres of former residents Lady Isobel Shaw and Madame Nixon reported to wander the halls. 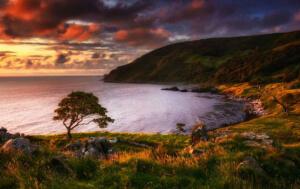 Love the ancient residences scattered around Ireland? Read about our stately houses and gardens.